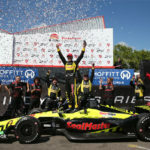 In one of the most dramatic victories in his illustrious career Sebastien Bourdais drove the No. 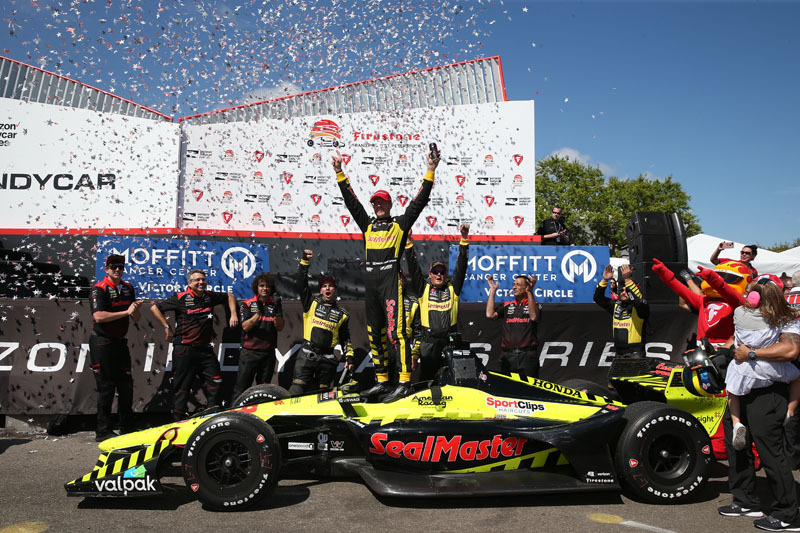 18 Team SealMaster – Dale Coyne Racing with Vasser-Sullivan Honda/Dallara/Firestone car to victory today in the 2018 Verizon IndyCar Series season opening Firestone Grand Prix of St. Petersburg. The hometown hero not only defended his title, having won the race last year, but did it in front of friends, family and a throng of guests from his primary sponsor SealMaster, who coincidentally were holding their National Franchisee Meeting in nearby Clearwater, FL allowing many of the franchisees to witness the feat. 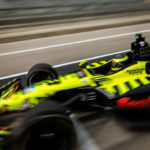 Bourdais began his defense from the 14th position on the starting grid, but it didn’t take long for things to go wrong. On the first lap of the race he suffered a flat tire and had to pit dropping him to 22nd. He pitted again four laps later during the first yellow flag of the crash filled event for a splash of fuel. This proved to be one of the key decisions the team made in a slew of strategic moves. The extra stop did not materially affect his track position, but allowed Bourdais to stay out longer than most of the lead cars. When the leaders began to pit starting around lap 17, Bourdais steadily moved up the field eventually assuming the lead on lap 25. He held the lead until lap 38 despite the opportunity to pit several times during a series of yellow flags. 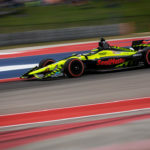 Bourdais finally pitted on lap 42, setting up the possibility he would only have to pit one more time while the majority of the teams would have to pit twice to finish the race. 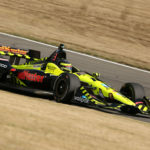 Bourdais returned to competition in 17th place, but steadily, again, began to move through the field once again assuming the lead on lap 63. Bourdais remained in the lead until pitting on lap 77 and rejoined the race in fifth place. He battled his way into third on lap 86, but was 14 seconds behind the leaders and had little hope of catching pole sitter and race leader rookie Robert Wickens and Alexander Rossi, who was in second, but pressing Wickens. Then it happened. Another yellow flag compressed the field and it was game on. Wickens held Rossi off on the restart with Bourdais a close third. Then another yellow flag. With just two laps remaining another restart and this time Wickens and Rossi tangled sending Wickens out of the race and creating an opening for Bourdais. He slipped past, took the lead and coasted to a season opening win for the second year in a row. 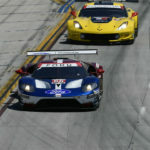 The victory also proved to everyone, what Bourdais has been saying. 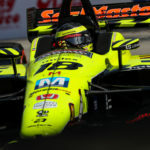 He is not only 100% back from the devastating crash he suffered during qualifying for last year’s Indy 500, but with the newly formed Dale Coyne Racing with Vasser-Sullivan team, he is ready to compete for the championship.